I'm in Chicago, and I am so frustrated that things are not loading as fast as it did in Korea. 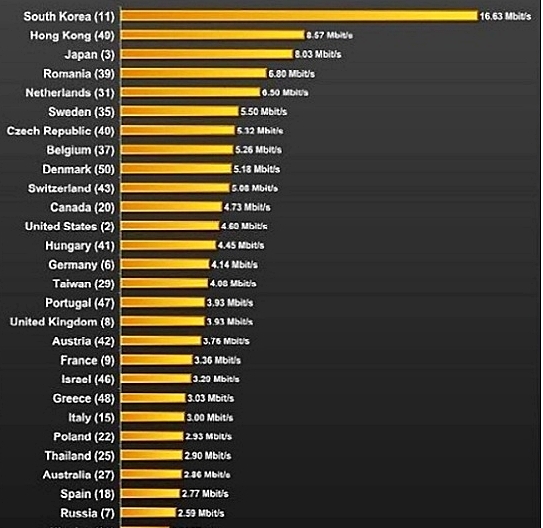 Below is the graph of the internet speed from the fastest to slowest. Now do you see why I'm so frustrated with the internet speed over here? because even Hong Kong and Japan has half the speed of Korean internet.